Wow Bingo is a relatively new and exciting bingo site, designed to give you the ultimate bingo experience. And it certainly has the Wow factor with its bright and neon colours, not to mention some fantastic promotions for new and existing customers. Wow Bingo have an excellent freebie offer for all you newbies. Sign up today and get £15 Completely FREE BBS with no deposit required. If that wasn’t enough you can also receive 400% FREE Welcome Bonus when you deposit a minimum of £10. Giving you £50 free in your account to play with. 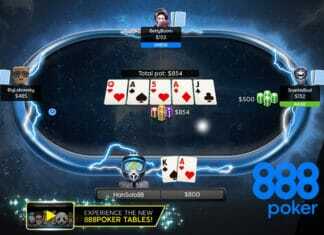 What’s more you can also receive up to £60 FREE Extra Bonus. All you need to is simply log on to your account each day to get a £1 FREE bonus which you can do for 60 days. Wow now that really is a great deal! 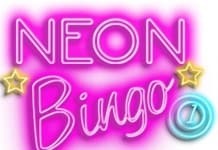 But Wow Bingo hasn’t finished with you newbies just yet! They also have an amazing 300% Reload Bonus on your second and third deposits. And you can also get up to 450% bonus or £150 cash on all future re-deposit bonuses. Wow Bingo also has some pretty amazing monthly offers available for regular players. This month you can stir the Spooky Cauldron to win Amazon vouchers and cash bonuses. You can also play in Free Bingo rooms to win real prizes. Plus you can also get up to 20% Cash Back on all future deposits you make. Wow Bingo have regular monthly jackpots such as Monthly Moolah where you can win £1,000, Daily Boost of £250 and Weekly Wins of £500 can be yours. There are also monthly jackpots where you can win up to £5,000 every week and Autumnal Slots Tourney with a jackpot of £5,500 available. We were really impressed with the way while bingo plays on both smartphone and tablet. All menu and icons adjust to your screen size and you can play all your favourite games via an Internet browser such a safari or Chrome. Bingo games for particularly easier to play using tap and swipe commands using the touch screen. To make your first deposit you can use the following payment methods, all of which are completely safe and secure; Solo, Switch, Paysafe Card, U Kash, Mastercard, VISA and Neteller. It doesn’t quite have the same response as the name suggests as the site looks quite dated now compared to it’s peers. But the bonus offers are too attractive to walk away from, so we suggest you take advantage of them and get out when they’re done.